One of the joys of the June garden is the flowering of the self-sown poppies. Translucent petals float on flexible stems. Bees hover from flower to flower. 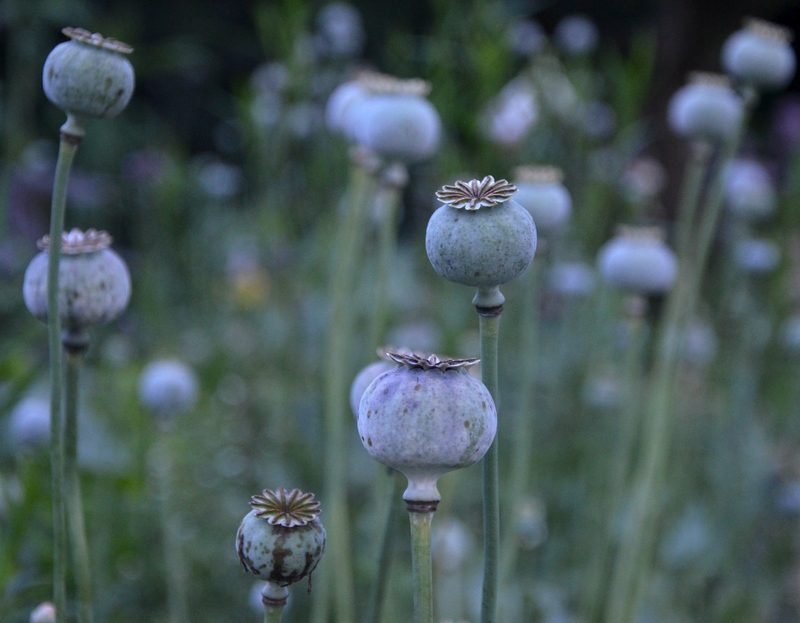 By July the seed heads of the poppies are like ghosts in the dusk. Soon the goldfinches will balance on the pods and peck holes so that they can eat the seeds inside.